The Islamic State of Iraq and the Levant – Caucasus Province (Arabic: الدولة الإسلامية في العراق والشام - ولاية القوقاز‎, ad-Dawlah al-Islāmiyah fī 'l-ʿIrāq wa-sh-Shām – Wilayah al-Qawqaz, Russian: Вилаят Кавказ Исламского государство Ирака и Леванта, Vilayat Kavkaz Islamskogo gosudarstvo Iraka i Levanta), also known as ISIL-CP, is a branch of the militant Islamist group Islamic State of Iraq and the Levant (ISIL), active in the North Caucasus region of Russia. 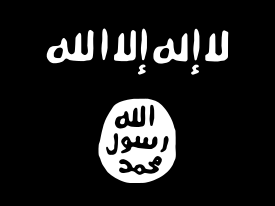 ISIL announced the group's formation on 23 June 2015 and appointed Rustam Asildarov as its leader. On 4 December 2016, Russian security services reported that they had killed Asildarov and four of his associates in a raid on a house in Makhachkala. In 18 February 2018, a 22 year-old man opened fire on a church in Kizlyar, Dagestan, Russia killing 5 and injuring 5. The attacker was later killed by security forces and a video later emerged of the attacker pledging allegiance to the Islamic State, while the Islamic State also claimed responsibility. On August 20 2018, multiple terrorists of young age attacked a police station in Grozny with knives and injured at least 7 police officers. All terrorists were killed, the Islamic State claimed responsibility. On early January 2019, the group claimed responsibility for the 2018 Magnitogorsk building collapse, and a following attack in the next day, the group said that the building collapse was caused by bombings, the claim was however, dismissed by some Russian investigators, the investigators said that the cause of the building collapse was most likely a gas leak. On January 25 2019, a group of policemen were attacked by a gunman, in the settlement of Sernovodskoye (Kursky district), the shooting caused the injuries of two policemen, the policemen fired back, killing the attacker whose body was later found next to a Kalashnikov, in the forest. The Islamic State group later claimed responsibility for the attack. ISIL-CP was designated as a Specially Designated Global Terrorist (SDGT) organization by the United States on September 29, 2015; Aslan Avgazarovich Byutukaev was listed as a SDGT individual on July 13, 2016. ^ a b "Designations of Foreign Terrorist Fighters". State.gov. 2015-09-29. Retrieved 2014-09-29. ^ "Islamic State moves in on al-Qaeda turf". BBC News. 25 June 2015. Retrieved 13 September 2015. ^ "ISIS Declares Governorate in Russia's North Caucasus Region". Institute for the Study of War. 23 June 2015. ISIS's spokesman Abu Muhammad al-Adnani declared the creation of a new wilayat, or governorate, in the North Caucasus region of Russia on June 23, 2015. Al-Adnani named "Abu Mohammad al-Qadari" the leader of the group, and congratulated "the soldiers of the Islamic State" in the Caucasus. ^ a b "Caucasus Emirate and Islamic State Split Slows Militant Activities in North Caucasus". Jamestown Foundation. 13 February 2014. Retrieved 17 February 2015. ^ Liz Fuller (2015-01-02). "Six North Caucasus Insurgency Commanders Transfer Allegiance To Islamic State". Radio Free Europe/Radio Liberty. Retrieved 2015-02-17. ^ "Dagestani jihadist swears allegiance to Islamic State, invoking backlash". Long War Journal. 2014-12-31. Retrieved 2015-02-17. ^ "New jihadist leader in Dagestan denounces Islamic State defectors". Long War Journal. 2015-02-16. Retrieved 2015-02-17. ^ "What Caused the Demise of the Caucasus Emirate?". Jamestown Foundation. 18 June 2015. ^ "Two North Caucasus Rebel Leaders Face Off in Islamic State–Caucasus Emirate Dispute". The Jamestown Foundation. 2015-06-26. Retrieved 2015-06-28. We testify that all Mujahideen of the Caucasus—in the Velayats of Nokhchiycho [Chechnya], Dagestan, Galgaicho [Ingushetia] and KBK [Kabarda, Balkaria and Karachay]—are united in their decision and we do not have differences among ourselves. ^ "Islamic State's Caucasus 'province' claims first official attack on Russian forces". Long War Journal. 2015-09-02. Retrieved 2015-10-03. ^ "IS's North Caucasus Affiliate Calls For Recruits To Join It In Daghestan". Radio Free Europe/Radio Liberty. 2015-10-03. Retrieved 2015-10-03. ^ "Russia Dagestan shooting: Five women killed in attack on churchgoers". BBC News. 19 February 2018. Retrieved 27 March 2018. ^ "2 knife-wielding men killed in attempted attack on police station in Russia's Chechnya". ^ "Estado Islámico golpea en Rusia". ^ "Islamic State Claims Responsibility for Deadly Russian Apartment Blast — Reports". The Moscow Times. Retrieved 2019-01-31. ^ "Установлена личность обстрелявшего полицейских на окраине н.п. Серноводское" (in Russian). bakdar.org. Retrieved 2019-01-31. ^ "IS claims attack on Chechen security forces in Stavropol Krai in Naba 167 "exclusive"". Site Intel Group. Retrieved 2019-01-31. ^ U.S. Department of State. "Designated ISIS Branches and Individuals". Retrieved 23 January 2019. This page was last edited on 24 March 2019, at 20:56 (UTC).